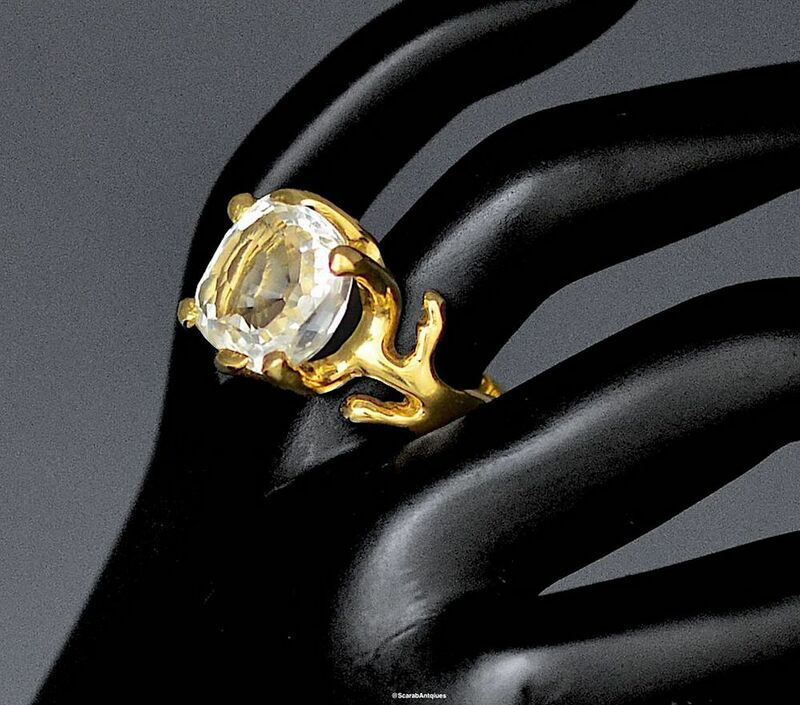 This is a a very elegant and simple ring designed by Toma Clark Haines as part of the TCH COLLECTION. 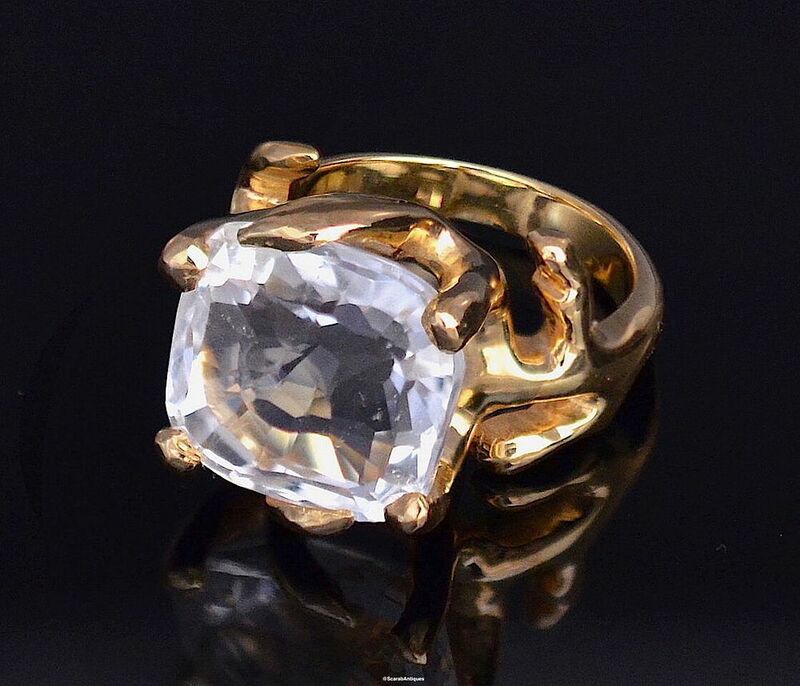 In the centre of the ring is a large white topaz set in an organic claw setting above organic shoulders all in 18ct yellow gold vermeil. It is part of the Botanical Collection inspired by the organic sinuous lines of growing things. Silver that has been gilded/plated in gold is also known as vermeil. All the pieces in the TCH COLLECTION are vermeil and the gilding/plating is either 18ct yellow or rose gold. Toma Clark Haines is The Antiques Diva.– Chief Executive Diva of The Antiques Diva & Co European Tours, Europe’s largest antiques touring company, offering customized antiques buying tours in Europe, Asia and America to tourists, antique dealers and interior designers. One of the favourite parts of her job is stocking client’s stores across the US and creating new trends in home fashion. Toma Clark Haines is also a freelance travel and design writer, international public speaker, interior decorator and social media guru. Born in Oklahoma, Toma has lived abroad since 2000. Traveling extensively for work, she divides her time between her home in Berlin, Germany and traveling in each of her company’s tour countries. One of Toma’s abiding passions since childhood is for fashion and her secret desire has always been to be a jewellry designer. With the launch of the TCH COLLECTION Toma is designing and producing a range of jewellery that has her own unique global diva style.